Emma has 20 years� experience operating at the nexus of sustainable investment and development, bringing unique, authentic experience working with partners across the state, private, non-profit and community stakeholder spectrum. After a decade designing and establishing community-based green businesses in Latin America, where she worked for a law firm, conservation organization and independent consultant advancing indigenous livelihood and land rights, she joined ERM the global environmental consultancy to run their inaugural investment impact fund, set up to provide seed capital and technical support to developing country based entrepreneurs worldwide. After investing their first fund in ten social ventures around the world and raising the second, Emma relocated to Nairobi in early 2012 to set up Impact Capital Advisors. 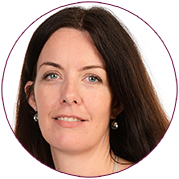 Emma leads on strategy, programme development and client relationships. Emma has a Masters in Resource Management and an MBA with Distinction from Oxford�s Said Business School where she was a Skoll Scholar in Social Entrepreneurship. Cynthia brings 5 years dedicated experience working in the field of women and girls empowerment, particularly in urban slums. Cynthia joined Boxgirls � an organization based is training young girls in self-defence but which has spanned into mobilizing women in social entrepreneurship and community outreach work � in 2009 as an unpaid volunteer to become their Programme Manager. Apart from community relations she specializes in systems management, capacity-building training and donor relations. Cynthia, who is currently studying for her Business Management Diploma, was selected to become a Digital Storytelling (DST) Master Trainer in 2013, attended a workshop in Amsterdam with Women Win. In 2012 she was named the monthly social innovator by Ogunte Network �UK due to her achievements in women�s social inclusion. Cynthia has also participated in international summits in Germany, South Korea and China as an ambassador for the United Nations Office on Sports for Development and Peace. 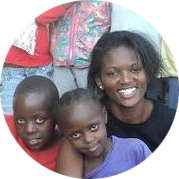 Cynthia leads ICA�s Tiny Totos outreach programme, as well as assists in community research work for ICA�s commercial contract. Joseph brings over five years experience of working in administration having previously worked in the ICT, banking and NGO sectors. 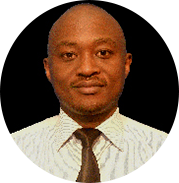 Prior to joining ICA Joseph previously worked in Standard Chartered Bank, Operations Department. He also has experience in social entrepreneurship and community outreach and development having worked before with K-Rep Development Agency, an NGO that seeks to uplift living standards for HIV/AIDS affected individuals by enabling them access enterprenual opportunities. Joseph has a degree in Business Administration from Maseno University and apart from administration Joseph also has experience in Accounting and I.T systems administration.